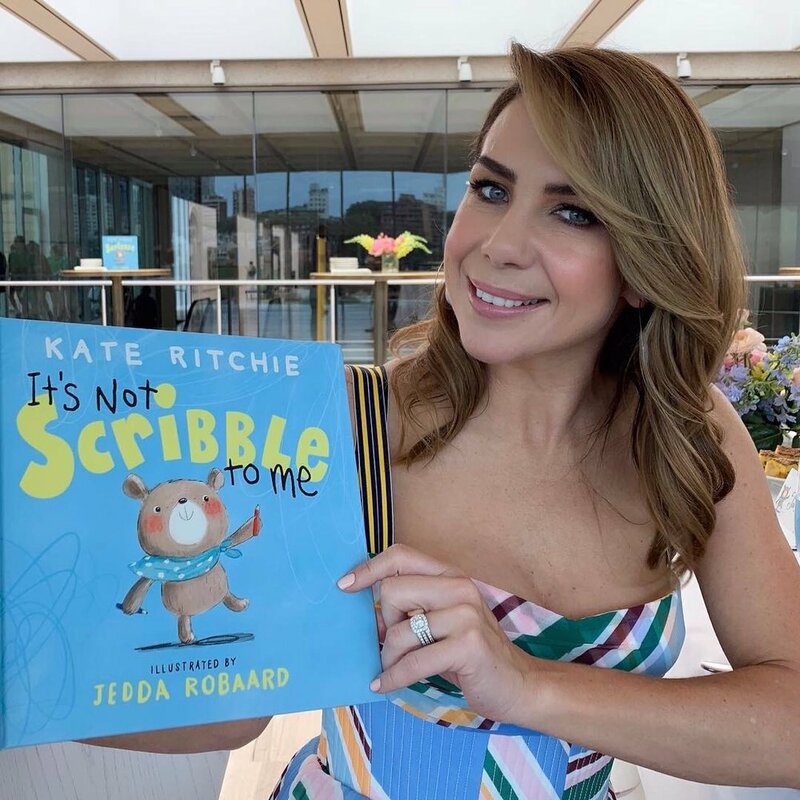 Kate Ritchie is a beloved Australian identity. Many of us know her as an actress and radio presenter but she is also a talented children’s author, having written two children’s books to date. 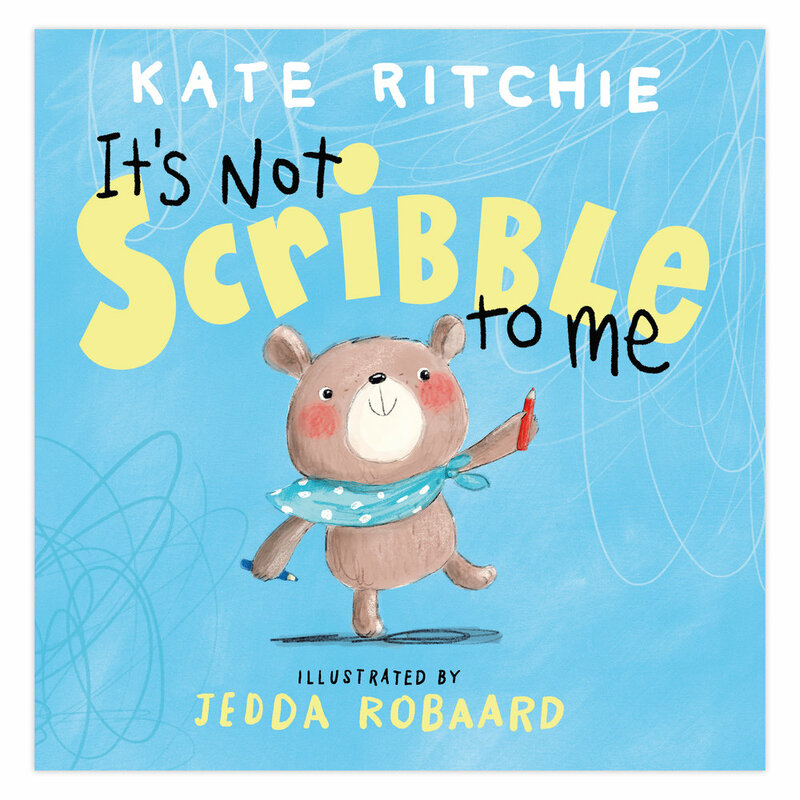 Her latest book It’s Not Scribble to Me, illustrated by Jedda Robaard, is a celebration of joyous creativity and imagination for both little ones and their parents. Kate recently shared with us the inspiration and creative process behind writing her two books as well as giving us an insight into her daily routine. What inspired you to write your first children’s book, I Just Couldn’t Wait To Meet You ? The wonderful anticipation of welcoming a baby into the world was all the inspiration I needed to write my first book. It is a story for expectant parents and excited families - all waiting for a precious child to arrive inspired by that time in my life way back in 2014. It was a time full of hope and joy and was understandably a little daunting too and that was what I wanted to reflect. A myriad of emotions that I felt I needed to get down on paper perhaps in order to silence some of that inner dialogue. It evolved from scribbled pages into a letter of sorts and then... a book! I hope people relive the wonderful feelings (and the not so wonderful) whilst reading it with their loved and little ones. Can you tell us a bit about your new book, It’s Not Scribble to Me ? Once again my writing was inspired by the little person in my life and the creativity in our children that can, at times, be frustrating to us! It’s the story of a little bear with a wonderfully colourful world in her head. So colourful and abundant that it sometimes spills onto the walls. What her family deem to be mess and scribbles all over the house are far more than that and she really doesn’t understand what all the fuss is about! What message do you want children and their parents to take away from reading this book together? I hope it acts as a reminder that we can get great joy from seeing the world through the imagination of our kids.. Don’t get me wrong, I’m never happy when I see a scribble on the wall but I realise that it won’t be forever and being creative together is worth the repaint! Your books are beautifully illustrated - can you tell us about the creative process and collaborating with such wonderful illustrators? When it comes to It’s Not Scribble To Me working with Jedda has been a fangirl moment. When Mae was very young we were gifted by a girlfriend with a past work of Jedda’s about a gorgeous little lion who lost her roar.. When my publisher suggested Jedda I was beyond excited. Handing your words over to someone who brings them to life far more than you could have ever hoped for imagined is a spectacular process. If I only I could draw! What is the one piece of advice that you would give aspiring authors? Just write it down! I have had many ideas over the years that have merely been thoughts and I wish I had written them down. If not for publication but purely for mental health. Ideas that once the moment passes so does the idea along with it. No story is too silly... No story is irrelevant... No story doesn’t deserve to be told. So whether your words are published or are purely for your own collection - what a lovely exercise that can be. I also suggest always writing from your heart. You cannot tell anyone’s story but yours. Do you have a set morning routine? If so can you please describe it. Attempting to wake up before the rest of the household does... My first cup of tea in front of the computer is my most productive as I plan our radio show from home each morning. Some mornings are full of my other work commitments but my most favourite are the ones I can take my daughter to swimming or scoot around the park. I head into the Nova studios around 2pm each week day where Kate, Tim & Marty goes live around the country 4-6pm. It is a job that allows me a great work/life balance of which I am incredibly thankful for. What is your Life Mantra? I’m not sure because I truly feel that my life is a work in progress and I’m still to work it all out yet. I’m quietly moving forward reminding myself daily to stay as present as possible. What are the three things that you can’t live without? My four year old daughter, linen sheets and most recently my thriving garden. What are your favourite three places in the world to go on holiday? I have to say anywhere that has rarely seen an episode of Home and Away... First and foremost that would be Italy. Followed by Noosa for time with the family. Exploring your own backyard is pretty good too. What is the best piece of life advice you’ve ever received? Haters gonna hate.. Oh, and a wise old actor going by the name of Ray Meagher always taught me to be on time, know your dialogue and don’t bump into the furniture! All of that has served me very well. What do you think of the UNE PIECE brand and its vision to empower and build confidence in women? Personally, UNE PIECE has provided a sun safe, stylish way to enjoy some of my Summer days. Anything that ticks all the boxes of style, comfort and confidence works well with me.